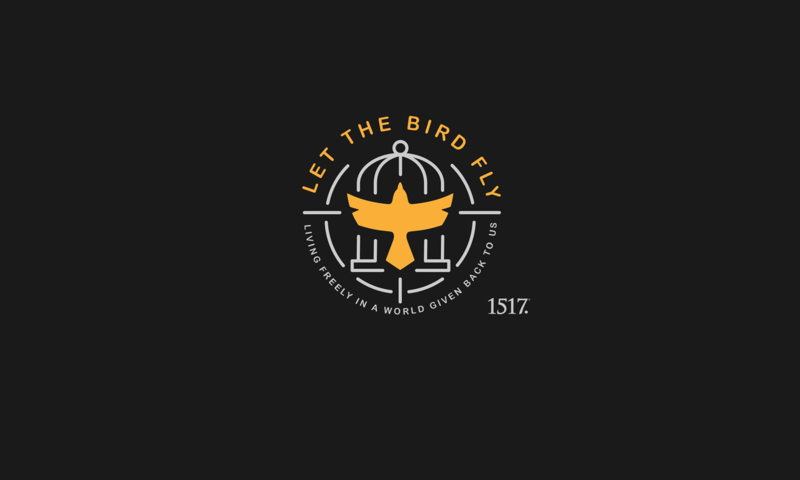 Romans 4:18-25 – Let The Bird Fly! This devotion is a revision of a sermon Wade gave earlier in his ministry, which is why it is longer than most of the others. We learned earlier in Romans about righteousness and how you don’t have any of your own, but that you have Christ’s, applied to you through faith. Well, guess what? We are in a new chapter of Romans and St. Paul is still stressing that same point. Why? Because we sinful wretches, in this case, need to be determined to claim what is not ours as ours. God gave Abraham God’s promise, which was God’s to keep. How did Abraham know he had to trust God’s promise and not help it along? He had tried to help it along already. Abraham twice lied about Sarah being his wife when in foreign lands for fear that the foreigners would kill him for his wife, because she was beautiful, failing to trust that God would keep him alive long enough to have his promised son. Abraham had heeded Sara’s advice about having a son, impregnating her maidservant Hagar, thinking he would fulfill God’s promise for him, which backfired big time. Abraham had tried helping God’s promise and failed, and so he was left with two options: despair or believe. By God’s grace, he believed, even when every human experience, thought, and emotion contradicted what God said. That is what faith does. It sees God as God and lets God be God. It sees me as me and, contrary to every instinct, admits I am me. It clings to God’s promise as the only thing that can bridge God as God and me as me. Faith is not convenient. In fact, faith often travels the most inconvenient of routes. Faith does not declare, “I can’t believe God would want this for me.” Faith declares, “If this is what God wants for me, I will trust him.” Faith moved martyrs to lose their head to win a crown. Faith blinds its eyes when challenged by human wisdom and clings to God’s folly. Faith rests on God’s unchanging promise and says, “Let shifting feelings and shady thoughts be damned. God is God and I am me.” And that is why faith is precisely what we fear most. But we must stop here now, lest you get the wrong impression. We live in a culture that cherishes faith. Everyone has it, to some degree, in some people and things. The logical question is: faith in what? Faith is not powerful because it is faith, but because of its object. For instance, many retirees had faith, even strong faith, in the companies they retired from to supply their pensions. Ask retirees hit by the last big economic downturn about the power of that faith. No, faith is only as strong as its object, and the object of Christian faith is Christ. Christ was the real foundation of God’s promise to Abraham. Christ was the Seed to be born of Abraham, to be a blessing to the nations as the Savior of all men and women. 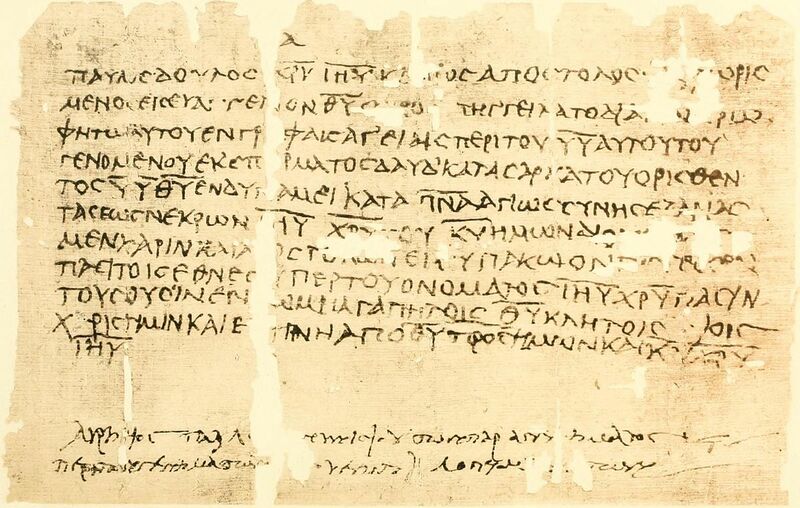 St. Paul writes in Galatians (3:16), “Now the promises were made to Abraham and to his Seed. It does not say, ‘And to seeds,’ referring to many, but referring to one, ‘And to your Seed,’ who is Christ.” Faith is only the faith of the Bible when it is faith in Christ. Other faith may look like real faith and sound like real faith, but a toy gun can look and sound like the real thing too. Wouldn’t you hate to learn the difference in the middle of a battle? So what happened with this faith God gifted to Abraham through his promise? It was credited to him as righteousness. It was credited, and this is important. In bygone days, this might have been a harder concept to understand, but not anymore. We have an economy fueled by credit. When you go to Meijer or Kroger and give them your MasterCard, you are credited whatever you charge. You don’t buy it. MasterCard does and, until you pay them back, you continue to have it on loan. So also, God credited righteousness to Abraham. It was not Abraham’s. It was credited to him, only God doesn’t expect to be paid back, because we can’t pay back righteousness. We can’t pay back what we can’t produce, and at best we can produce only counterfeit righteousness, which would be like sending Monopoly money to Discover. God has credited righteousness to us in the same way fathers often loan money to their teenagers, knowing it isn’t really a loan. Normally credit comes with a high price. How many news stories have we seen about college students racking up huge debts because they realize this too late. They make credit cards out of plastic for the same reason casinos use chips instead of dollars: because then it doesn’t seem like real money and, therefore, people spend it like it’s not real money, that is, until the time comes to pay up. Yet God’s credit does not come with a high price. It comes with no price at all. It is free. It is grace, placed into the open, beggarly hand of faith. Imagine if all credit worked that way. How many of you would be living in larger homes with fancier cars? Yet that is how God’s crediting of righteousness works. Using Visa’s credit liberally results in bankruptcy, but using God’s credit liberally, that is, believing his gospel promises, results in salvation. Use God’s credit of righteousness, his promise, to cover your debts, to cover your doubts, temptations, and transgressions. Don’t worry, you won’t run out of credit, that is, unless you cut off your credit line by neglecting God’s promise in Word and Sacrament and rejecting God’s righteousness by persistent, willful sin. If your bank told you not to bother paying back your mortgage, you probably would be skeptical. It would run counter to everything you had ever heard and experienced. Banks don’t just forgive tens of thousands of dollars in debts. God, however, does forgive debts that way, just as we forgive our debtors. Just as you would doubt the bank’s sincerity, so also we are tempted to doubt God’s promise, especially when it runs counter to what we hear and experience. Yet if the bank forgives your mortgage, it is forgiven. If God forgives your sin, it is forgiven. All there is left to do is believe it, and, through Word and Sacrament, God leads us to do just that. God has credited your faith, given by him and pointing to him made man in Christ Jesus, to you as righteousness. Believe it, for in believing, like Abraham, you honor God, while unbelief dishonors him and calls him a liar. Believe, no matter what your thoughts, feelings and surroundings may say, because God is not a man that he should lie, nor can he do so. Your debt is forgiven. Your redemption is paid. Don’t try to pay it back.